Kathleen Marden is Betty and Barney Hill's niece and she knew them well. She and Stanton Friedman co-wrote a book detailing never-before-revealed information about this famous abduction case: Captured! 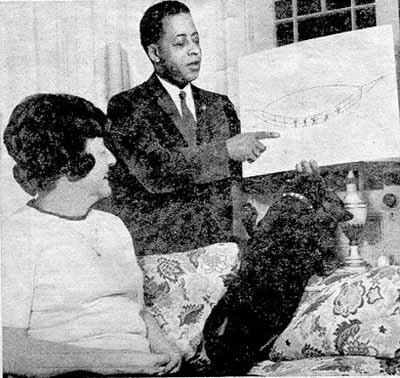 The Betty and Barney Hill UFO Experience. 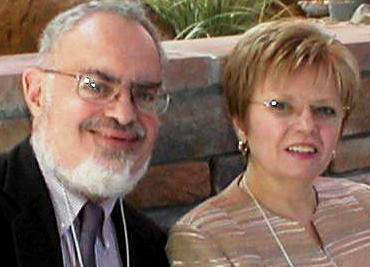 On July 5,2008, Kathleen and Stanton T. Friedman did an interview with Jerry direct from Roswell, New Mexico. MP3 Running time: 1 hour, 2 min, 8 sec. CLICK HERE for more detailed information about this and other Roswell 2008 shows. Avis Ruffu now lives in the Dallas area but in the late 60s she met Betty Hill who used to come into her shop when Avis lived in New England. Avis tells Jerry some interesting details of what Betty told her over the years including little known details about the encounters and some of the things that happened on board the space craft as well as an astounding mysterious story that indicates Betty may have been visited by the Aliens again shortly before her death. 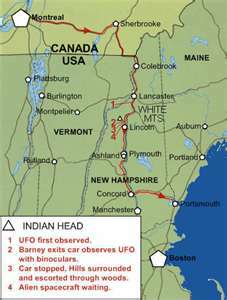 Alien Abduction is the theme of, "The White Mountain Abduction," which delves into the mysterious case of Betty and Barney Hill, the first people to go public with claims that they were abducted by aliens while driving through the White Mountains of New Hampshire in 1961. The film is based on the book "Captured! The Betty and Barney Hill UFO Experience"
A long-misplaced interview with Betty Hill recorded in the 1999 by folklorist John Horrigan has surfaced recently and we make it available to you to give you a feel of not only the incident but the Hills themselves. Betty Hill died on October 17, 2004. CLICK HERE for her obituary from The New York Times 10/23/04 edition. by Avis Ruffu In 1961 in the White Mountains of New Hampshire, coming home from a trip from Canada, Betty and Barney Hill spotted a light in the sky. Thinking it might have been a asteroid coming in, they kept a close eye on the bright object. It occurred to Barney that it might be a military plane of some sort. He stopped the car and took his binoculars out to have a look. What he saw frightened him. He saw a craft with strange beings looking at him from windows. Barney came running back to the car believing that the beings in the craft wanted to "grab him." Betty and Barney heard several beeps and further down the road they encountered what they believed were nine men in the road. The car came to a stop and Betty and Barney were taken from their car by beings who were not from this world. They were taken on board the craft and both were examined. Betty engaged the beings in conversation and seemed to have more reign when aboard the craft. She was shown a star map and given a book. After some conversations among the beings, it was decided that she would not be allowed to leave with the book. Barney and Betty were returned to the car and they continued their trip home. Two hours were missing from their timetable. After working with Dr. Simon, being put under hypnosis by him, a story so extraordinary it defied everything we held to be true about us and our place in the universe, unfolded. A Boston newspaper picked up the story and ran it for five days. The story was picked up by newspapers around the world. 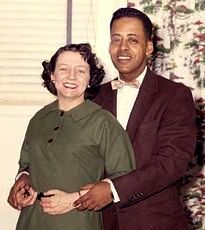 Betty and Barney Hill's story became a part of history. Most people believe that was the end of their story...in reality it was just the beginning. The abduction event is a small part of Betty's history. Betty was a child welfare worker in New Hampshire and retired from a supervisory position after working for years for the state. Betty raised several children that she'd adopted while working and being a wife. Betty's family was important to her and she had many brothers and sister and her parents that she and Barney were close to. Her father was a mayor and her mother was very progressive for her time. Betty and Barney's interracial marriage was unique for its day, but they were valued members of their community and it was never an issue to them or others. They loved and lived full lives built on mutual respect for each other in the service of others. Betty has always held strong political views and has been involved in politics as well as other organizations that were designed to help the less fortunate. Barney was employed with the postal service after being in the military. Barney was equally busy working after-hours with civil rights, integration, his church, Community Action and other projects. They were solid citizens and gave back to their community more than most. These were people that had both feet on the ground. They were not a couple of loose canons with pie in the sky dreams or fantasies. Betty and I went over her history spanning the time period before, during, and after her abduction. When Barney died in February 1976, Betty believed the interest in them and their abduction would end. It did not. For years Betty traveled around the globe going to Russia, South America, and many other places. She spent a good deal of time lecturing and doing TV spots talking about the 1961 abduction incident. She gave telephone interviews, sometimes more than 120 in a month's time. Betty retired from the UFO community in September of 1991, her thirty-year anniversary of the abduction. She has never regretted her decision to do so. She has lived a very full life and gave much of herself over the years to traveling , lecturing, and documenting sightings. She was, as she says, "ready to retire" and become like one of the local tourist in her home state and lie on the beach and go boating. Betty very quietly and unceremoniously slipped away from public view. But she never quite made it into that retirement. Now and then, as with the N.Y. symposium, she returns for a brief moment and then slips back into the background tending to her brood of chickens, cat, and flower beds at home. Betty is more apt to talk these days about local or global politics. Tracing her roots and genealogy is a past-time she loves to research and discuss. If the truth be told, she would love to be known when she is gone as one of New Hampshire's finest child welfare workers rather than Betty Hill of UFO fame. It was a job she took very seriously as she worked for many years protecting children. Betty has a great love of people and I believe that is what makes her so open and friendly to all she meets. She has her opinions, as we all do, and they are held as firmly as her New England accent. Betty is extremely bright and quite articulate. A reflection of those qualities shows up in her ability to laugh. She has a warm and heartfelt laugh that she doesn't mind directing at herself when the occasion arises. She knows she has lived a charmed life meeting astronauts, scientist and celebrities along the way. She has woven into her somewhat controversial life a network of good friends whom she views as extended family. The telling and retelling of her story has allowed her to be on television around the world, even Chinese television, and has afforded her the luxury of traveling to many far-away places. She has lived the good life and worked hard to preserve her privacy when need be. She is in good health and spirits but is tired of telling her story of being abducted saying "it's boring." She has moved on and so have we; but every now and then she returns to us. Many people know of Betty Hill and her abduction experience, but not many know of the fifteen years she spent going out in the local community with a hand picked group of people to investigate and document sightings. Included in her group were high ranking military officials, medical doctors, police, associated press, television cameramen, scientists, teachers and a priest. She has a collection of slides of UFO's that were made from the pictures taken over the years. She still has her dress that she was wearing the night of the abduction. Each time I see the dress, there is a little less of it to see as samples are taken and sent off to be analyzed in labs around the world. As of today, the results are inconclusive regarding the pink powdery substance that stained the dress. The dress is kept in a bag but every now and then she will bring it out for review. She has the star map still vividly ingrained in her mind. Marjorie Fish brought the star map to fame when she came across it. Betty had hand-drawn the map under hypnosis during one of her sessions with Dr. Simon in Boston. Other than the remembering of that map, Betty was left with no clues or information as to where the alien visitors came from or any information about them or their civilization. by Betty Hill (Star catalogue names for corresponding stars as determined by the Fish 3d spatial projection Model of the near solar neighborhood (below). Now, Zeta Reticuli is often referred to as a possible home of our alien visitors. She has a bust of the leader that she and Marjorie worked on many years ago. Junior, the name the local school children gave to the peculiar green/gray alien, sits retired in the bedroom on a mantel. Not many know that on the night she was abducted, Betty was also wearing a pair of blue earrings that ended up missing. Many months later when she and Barney returned home from a venture to the White Mountains, they found a pile of leaves on their kitchen table. Brushing away the leaves, they discovered the blue earrings there. They knew that the aliens knew where they lived. The abduction took place in the town of Thornton many miles from her home. While speaking with the leader, Betty informed him that they were not from around there and that she would like to meet them again. The leader didn't seem to have any concern with where she lived nor about getting back in touch with her should they want. The earrings on the table were all the proof she needed that they knew where she lived and at any time could, if they chose, make contact with them. Some time later, a neighbor told them that he saw two men in black enter the house and did not react or think it strange as Betty and Barney had strangers visit quite often. Leaving the doors unlocked was something you did back then so the neighbor did not think it was suspect to see them enter, believing Betty and Barney were home. Betty says she has the proof of her abduction. She still has the dress that is covered with pink stains of some unknown substance. She has drawn the star map that Marjorie Fish brought to fame. Betty told of having a needle in the navel and being told it was a pregnancy test. Betty said it was no pregnancy test back then in 1961, but afterwards doctors developed the "needle in the navel" pregnancy test. The local air force base picked something up on radar that evening that they couldn't account for. They also sent out two planes to check it out. 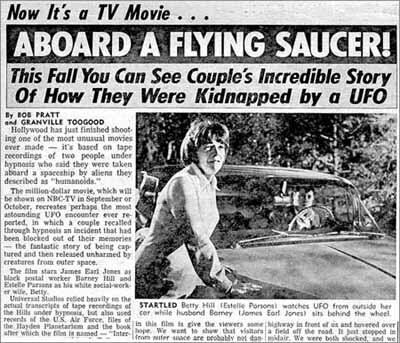 Because of the military's records, Betty and Barney knew that the craft left at 2:14 a.m.. Betty made an appearance on F. Lee Bailey's TV show and took a lie detector test which she passed. Betty underwent a brain scan to look for anomalies. She passed with flying colors. The best proof of Betty's abduction is Betty herself. Her story is now 42 years old and she has never wavered from her story in any part. She holds fast to the validity of the event and, knowing Betty, one is immediately struck by her persona of being a woman of truthfulness and of being very grounded, exhibiting a no-nonsense approach to life. Betty has had numerous sightings over the years around her home. As she and Barney were returning from local events, it was not unusual for them to be paced by a UFO. Betty has sat out on her back steps and seen them over the house and the trees in her back yard. She laughs, cupping her hands around her mouth to demonstrate how she calls out to them with "UFO's? Can you hear me? I'm here!" It was typical of Betty to stick her hand out of the car and wave when she spotted a UFO in the area yelling out "hi boys." She was friendly, not afraid, and believes it had a lot to do with all the sightings she has witnessed over the years. Betty is that 'friendly' and talks about her experiences as casually as we might talk about going to the store or seeing a meteor streak across the night sky. I asked Betty one time many years ago "why is it that you are able to see so many UFO's and the rest of us will be lucky to see one in our lifetime?" She replied "what do you see when you look up at the sky"? I answered "stars." "Then that is all you will ever see is stars" she advised. That brief statement has stuck with me throughout the years and at times I think it must mean something, but I'll be darned if I know what it is. Betty describes many of the craft being different in size and purpose. The mother ship seems to be the biggest and stays the farthest out and smaller and smaller ships are launched as they come down closer to the planet. Betty says most people see the smaller ships that come to observe. However, there is a craft that comes in that she calls a "sneaky one." It will come right down in close to a populated area and set down in a wooded area. The craft looks like a house with a pitched roof and the windows are lighted so that it looks like someone is home with the lights on. Betty said if you passed it while driving you would only think it was a house sitting back in the woods. This shape and ordinary appearance allows them to come into populated areas without being seen for what they really are. I asked Betty if she thought the beings she encountered were biological or robotic in nature. She said they were real and not robotic. She said the beings she and Barney encountered were anywhere from 3 feet to the tallest being 5 feet. They were not weak, skinny creatures...they were rugged. They were short in stature but well proportioned and built. Each of the beings had a different face and personality just as if there were 11 different people together in a room. Again, she surprised me saying "but...they do have a robot." It is some kind of robot they use that has a dark structure and a large orange head with wires running through it. At one time she saw nine of them. 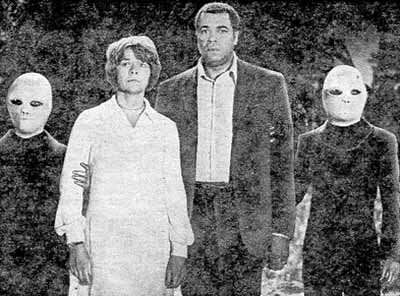 Others in their silent UFO research group saw them as well. They nicknamed it "pumpkin head". Betty has no idea what their purpose was but that pumpkin head was some kind of mechanical device that the aliens used for research. Although Betty and Barney met the typical small grays with the wrap around eyes, she believes that others have encountered aliens that were much different than the ones they encountered. In the early years after their abduction, Barney and Betty received reports and saw first hand UFO's pacing police cars. If the blue lights were flashing on the police car, the UFO had its blue lights on pacing the police car down the road. The same was true of a fire truck going to a fire with it's red lights on. The UFO's would put on red lights and pace the fire truck as it sped to a fire. They have been spotted hanging over schools while a school dance was in progress. At a local race track, it was not uncommon for folks to witness a UFO sitting silently in the sky over the track as a race was in progress. Betty claims "they were exploring---primitive life forms--- just trying to see how we lived." One time Betty says they telepathically spoke to some beings in a craft when a UFO showed up at a Christmas parade. They wanted to know what it was all about. I jokingly asked Betty "and just what exactly did you say that made any sense?" The aliens were told that it was a religious holiday and we had a Santa, with a long beard and red suit that gave gifts; but that there really wasn't a Santa. It was the parents who gave the gifts. I asked her "did they get it?" She answered "we assumed so...they never disagreed with us." Betty told the aliens about all holidays. Betty reports that at one point they were able to record their communications on tape with an alien. The woman who had the tape promised a copy to Betty but died and she does not know what happened to that tape. Somewhere out there I hope it still exists and someday it will be found. Betty is just so darn used to having UFOs and aliens as a part of her life she takes little interest in the gathered items she's collected and has stored away throughout her home. You would almost be tempted to think that some of the stories she tells are the ramblings of an 84 year old woman who has a very vivid imagination or has lost touch with reality. But in reality, Betty is as solid as the granite rock that the state of New Hampshire itself sits upon. Betty is a no-nonsense kind of woman. Even in her advanced age she is quick-witted, agile, and has a good strong mind for dates, names and facts. I for one would never want to have to come up against her in a court of law. She is that convincing. The first thing that you notice about Betty is that she is unassuming in her presence and just her natural relaxed way of being is refreshing, down-home and true. She does not feel all that important but believes it is very important that we continue to study the UFO phenomenon and gather as much information as we can. Someday we will have contact. Although having said that and laughing, she knows first-hand we already have. I asked her why is it if so many people have seen them and videotaped them and taken pictures, why does the government not come forward. She said "nobody pays attention to the government!" The people know they are real because the UFO's and aliens let them know they are real. Betty was very impressed with Dr. Steven Greer and his attempts to bring the UFO enigma to the forefront and gain the support of our government and military. The truth needs to come out. Even though she feels we might be looked at as a primitive life form to many of our intergalactic visitors, she really has no inside scoop nor was told why they are here. Like most, she takes an educated guess at the reasons. Betty believes that our space visitors have moved beyond war. "For them to come here they have resolved their problems" said Betty. She believes they are a peaceful people. She also believes there is a galactic federation of some sort and that beings from different parts of this universe know each other. Soberly I asked her "do you think they will save us if we resort to nukes? She said emphatically "no, they couldn't save us." She hopes that we don't end up like the late great planet Mars. If we don't blow ourselves up, we will one day resemble our intergalactic brothers. Holding Junior on her lap and affectionately patting his head, Betty shares what a physical anthropologist told her that 25,000 years from now we will look like Junior. With each succeeding generation, we are losing more hair, our noses and ears are getting smaller, our eyes bigger. Betty hopes that we continue with our space program and move away from our reliance on fossil fuel. We will have to if we are to go beyond these few planets that we know of to join the rest of the galaxy in exploration and contact. She holds out hope for us as a species. Someday someway we will throw off the restraints of war, fossil fuel and ignorance to join our fellow travelers among the stars. Betty became quiet at one point in the interview when she said to me, "I'm the only one living. John Fuller is gone, Dr. Simon is gone, Barney's gone." I could feel her private memory tinged with sadness as she spoke. When I was last up to see Betty, another person of UFO notoriety had died. Norman Muscarello of Exeter died, at the age of 55 on February 26, 2003. Norman's UFO story was also penned by John G. Fuller in his book Incident at Exeter. Norman and Betty lived very close to each other and although they did not know each other well, they knew each other. Only Betty is left now. 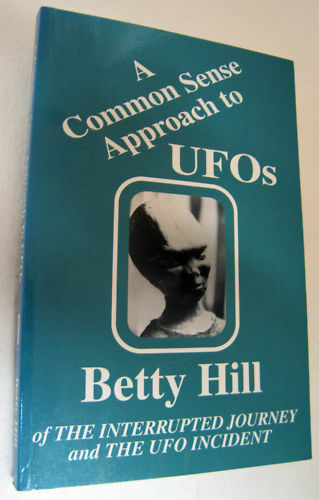 Betty, the Grandmother of Ufology remains as "feisty" as ever, living quietly among us. She will not be with us forever but she and her story are the stuff of legends and it will live on in history. For those of us who know her personally, we have been given a gift. She is everyone's grandmother in some small way and has generously over the years shared herself with us. She is retired but every now and then...she returns. Article provided by Stacey Allen McGee, Founder and Director, The ARC ~ Alternate Realities Center.